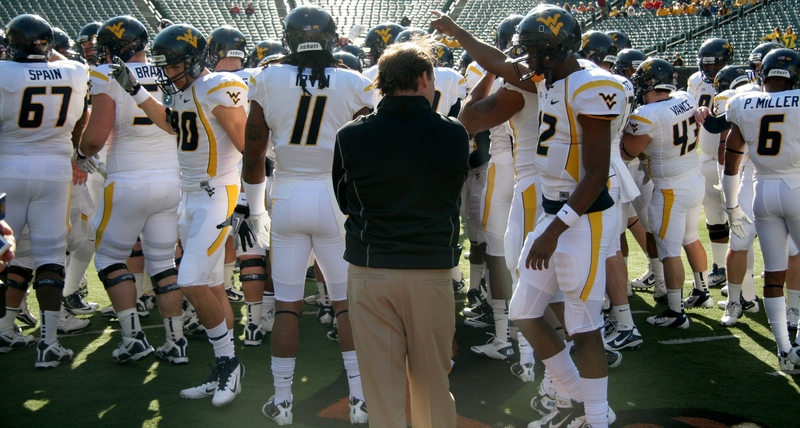 This wouldn’t be the first time the Mountaineers have overcome long odds. Can Dana add another to the list of Mountaineer miracles? We’ve all heard it before … Things are never as good as they seem or as bad as they seem. How many times have we seen that play out through the years? For instance, consider two years ago, in 2011, when a matter of seven points were the difference between a 6-6 record and the BBVA Compass Bowl where Pitt Panther fans have annually made their holiday plans or a 9-3 record and a spot in the 2012 Discover Orange Bowl. If Eain Smith doesn’t block the field goal that would have put the Cincinnati game into overtime, or if Stedman Bailey doesn’t make the sliding fourth-down catch to set up Tyler Bitancurt’s game-winning field goal at South Florida, or if Corey Smith doesn’t get off that terrific punt to flip the field against Pitt, West Virginia’s postseason compass might have been set for Birmingham instead of South Beach. But those things happened and the Mountaineers were able to get to the big game in Miami. Of course, West Virginia rolled to a 70-33 victory over Clemson in a game that proved to be one of the most lopsided bowl victories ever.